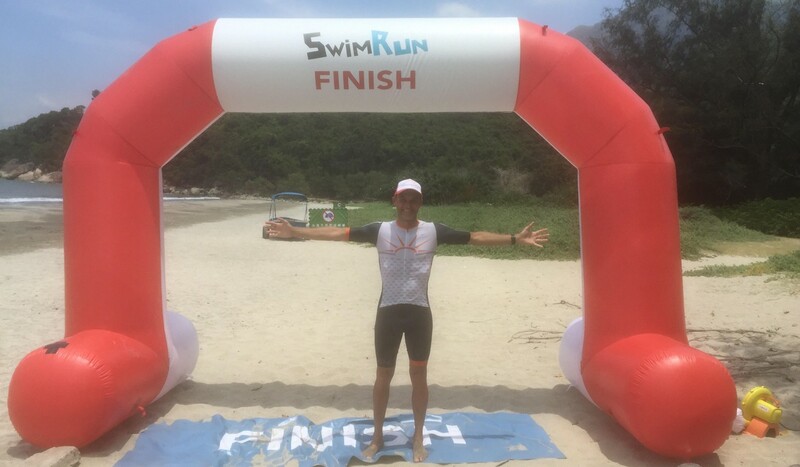 Trail-runners beat the heat this weekend by taking part in the 13-kilometre Terra Mar Swimrun on Sunday, one of Hong Kong’s first swim runs, while Saturday saw a combined running and kayak event. Sunday’s event started in Mui Wo, and took competitors in and out of the ocean as they made their way towards the finish on Pui O beach. The longest stretch of swimming was 1km. Baillet won in a time of one hour, 43 minutes. Around two years ago, Baillet started a Facebook group called “swimrunasia” and the combination has been growing in popularity since. Today’s race was one of the first of its kind in Hong Kong. The next is in November and registration opens this week. “It’s good for people who aren’t chasing times or distance,” he said. Zein Williams was the first woman to finish in a time of 2:05. Williams said she used to enjoy events that linked trails with rivers and sea, like the Action Asia Event, but organisers are no longer allowed to send runners through rivers. Fortunately, Action Asia is still pushing the boat out and on Saturday they hosted the second BWET Swimwear Kayak ‘n’ Run race in Discovery Bay. Participants kayaked 3km, ran 5km and then kayaked a further 3km. The winners were Gatorade Salomon – Jeremy Ritcey and Kurt Lynn – in a time of 1:29. “I think Kurt Lynn is definitely a better paddler and I helped him a bit on the run, so we are a good team,” he added. The first women over the line were Team Doggers – Joanna Eades and Imi Bond – in 1:41.